We made it out to Disney Springs today to try out the all-new Pepe by Jose Andres quick service location. 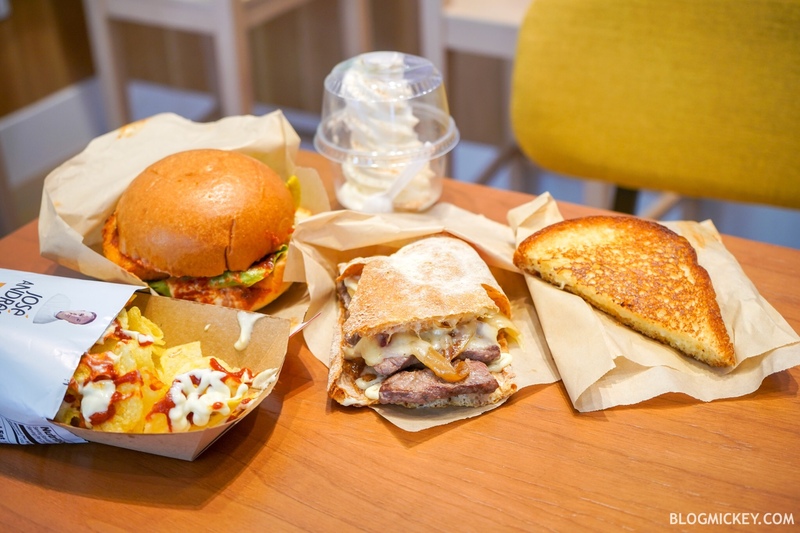 Attached to Jaleo, Pepe is the first brick and mortar version of the popular Pepe food truck. 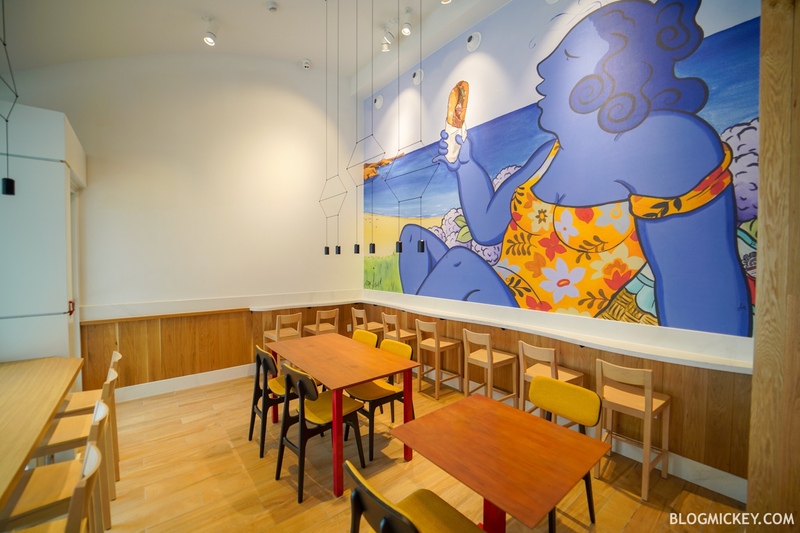 Pepe is certainly the quick service location, with only minimal space inside the doors. 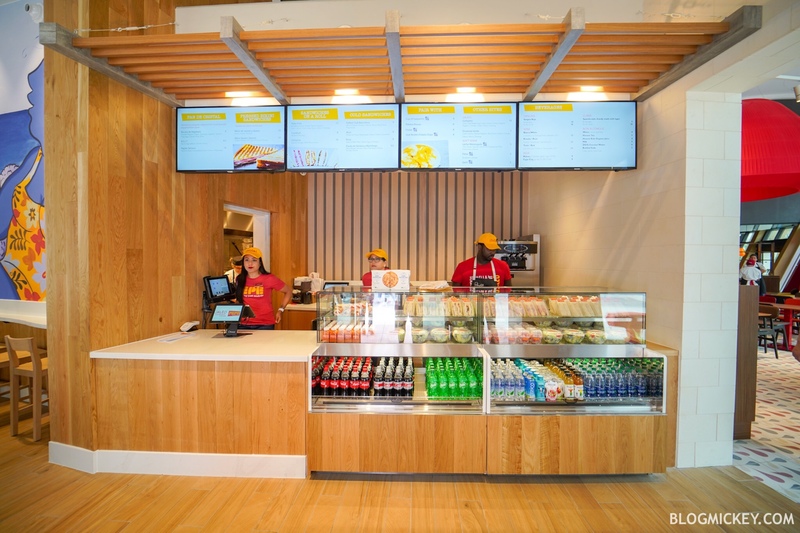 The sandwiches are certainly intended to be grab and go items and the limited space inside reinforces that. It’s more than just a quick service window, which we give them props for. That said, it’s a similarly limited seating situation as Chicken Guy, but without the outdoor seating. 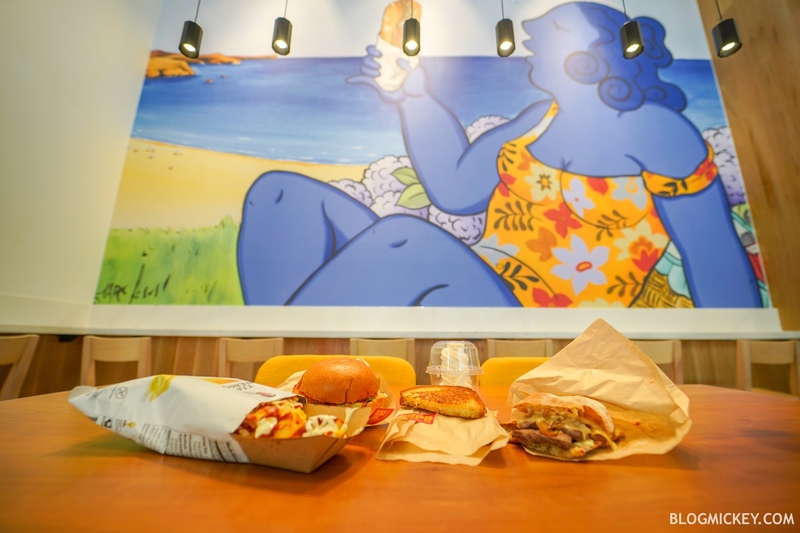 The menu largely consists of sandwiches of both the hot and cold variety. Here’s a look at the full menu and pricing as of opening day. 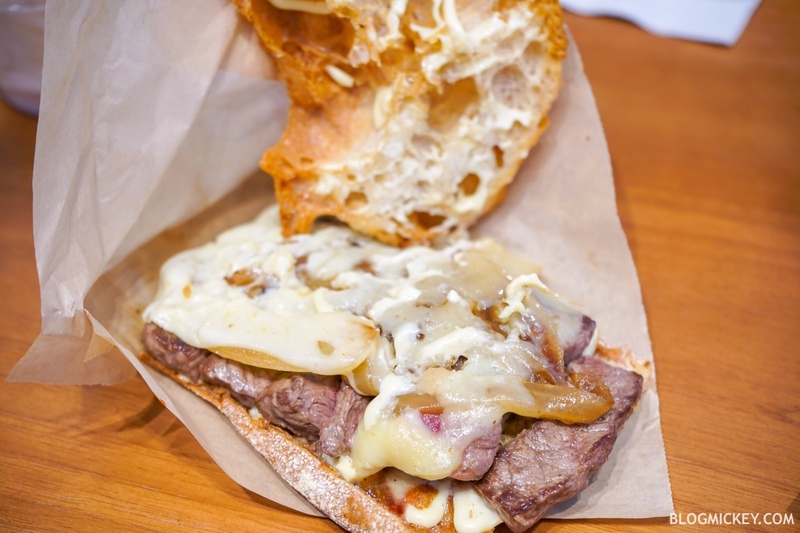 We start with the Pepito Ternera, which contains a flat iron steak, caramelized onions, cheese, and mayonnaise. Like we eluded to earlier, all of the sandwiches are served in a grab and go manner, but this was definitely the most messy of the bunch. It’s served on pan de cristal, which is a very crispy bread specially imported from Spain. Inside, we have a deliciously prepared flat iron steak. 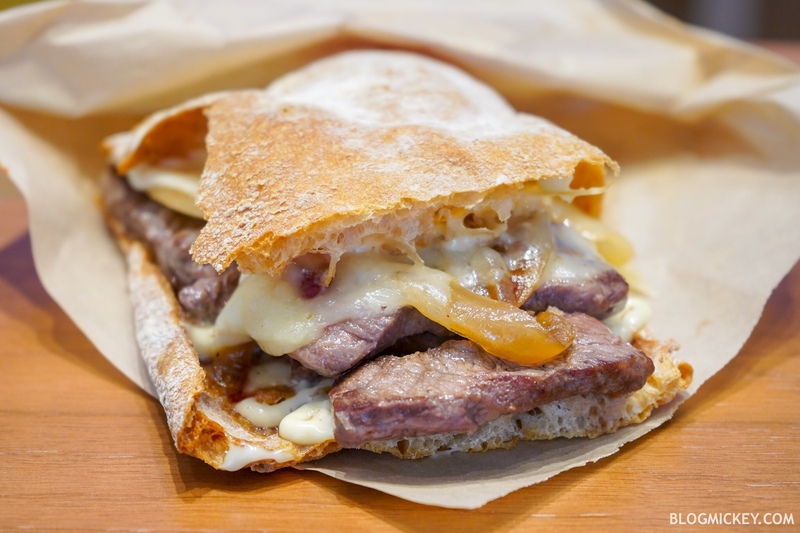 That, combined with the melted cheese and caramelized onions combines for a wonderful sandwich. 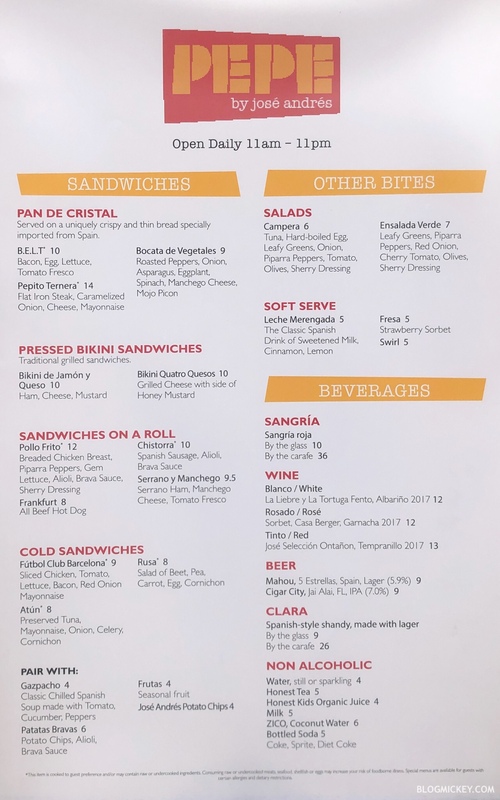 We can definitely recommend the Pepito Ternera. Next up is the Bikini Quatro Quesos. This four cheese grilled cheese sandwich is more than it appears to be at first. An impossibly thin presentation opens quite impressively to a grilled cheese sandwich that packs a punch. 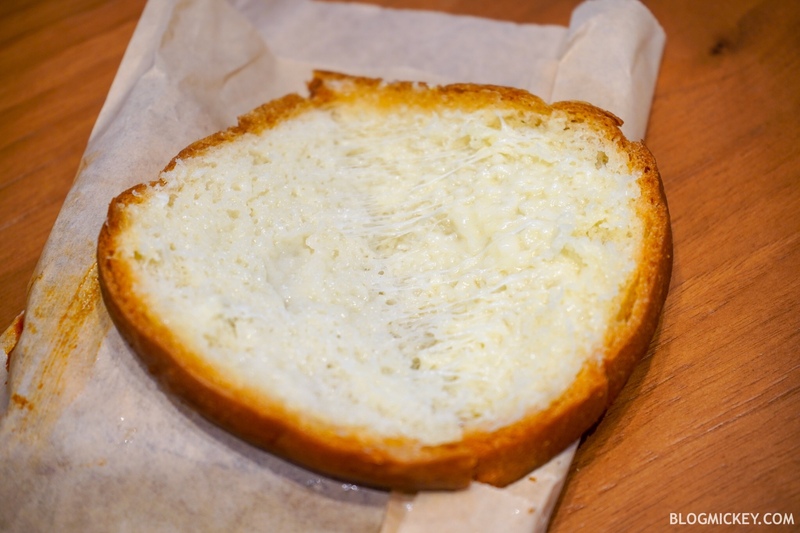 Looking inside, we can see the cheese is evenly dispersed throughout. 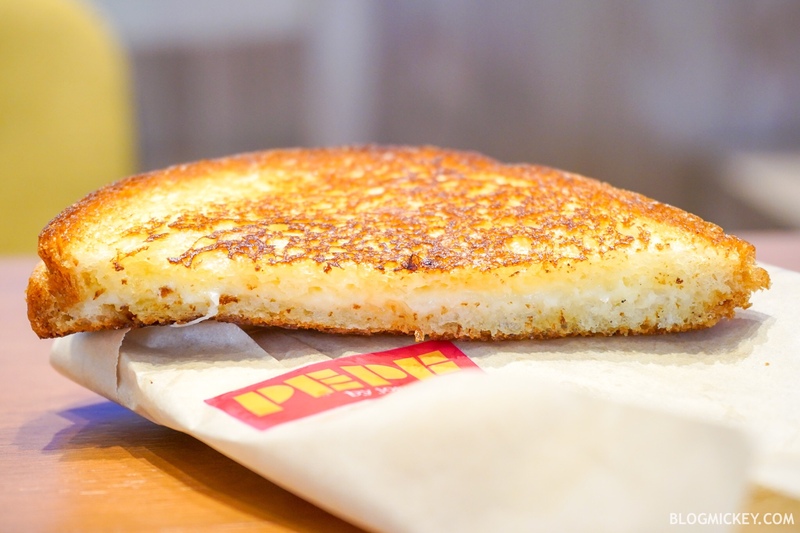 Overall, asking $10 for this earns it a pass, but it’s a better than average grilled cheese. 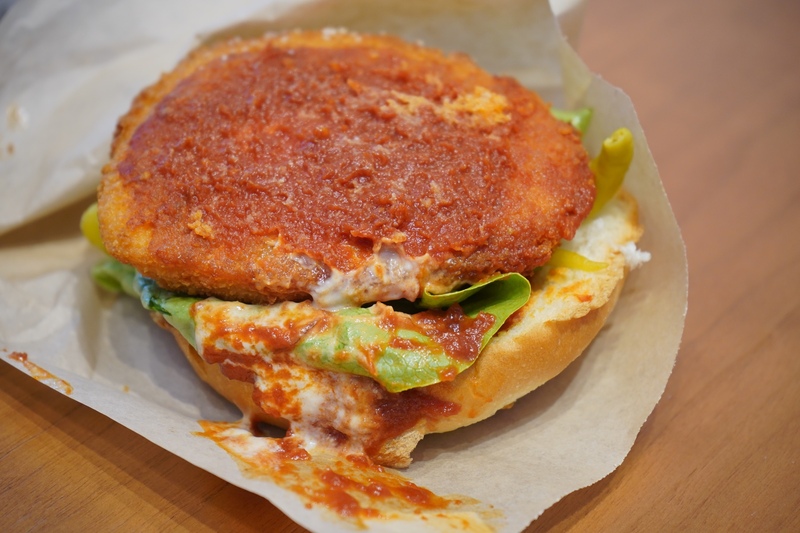 Next we find a breaded chicken breast, piparra peppers, gem lettuce, brava sauce, and sherry dressing. Let’s forget about the chicken for a minute and focus on everything else going on with this sandwich. The real winner here is the brava sauce. It’s a delicious take on a marinara of sorts, but with a kick. The sherry dressing and aioli attempt to counter the brava sauce and does effectively. 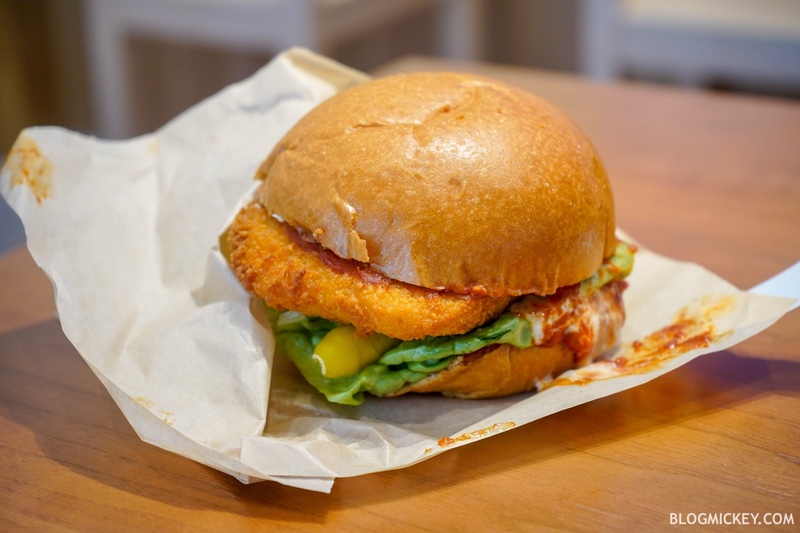 As for the chicken itself, it’s not going to be as good as what you’ll find at Chicken Guy, but it’s good enough to enjoy. If the brava sauce sounds interesting, we can recommend this dish. 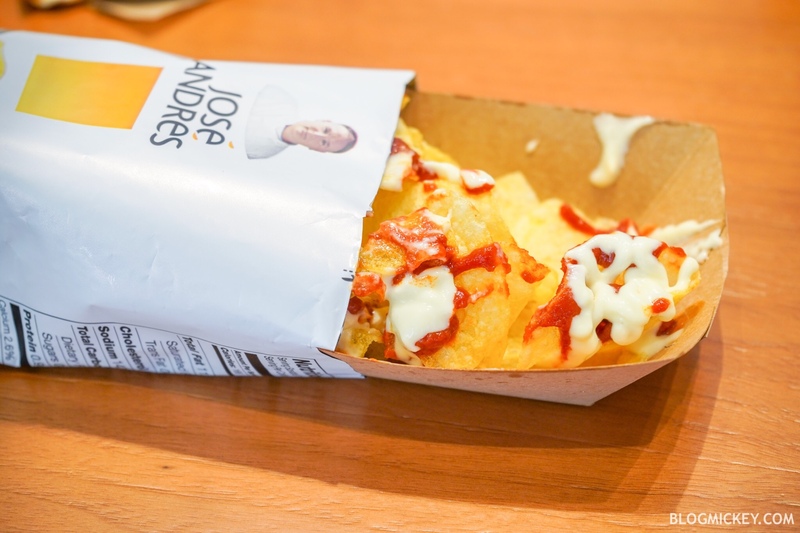 As a side, we find Jose Andres branded potato chips combined with the brava sauce we loved so much from the Pollo Frito above. Tatse-wise these are fairly regular. The winner here, again, is the brava sauce. It’s served as pictured below, so it’ll get a bit messy if used as a grab and go item. At $6, these are hard to recommend. One of three dessert options, the Leche Merengada combines sweetened milk with cinnamon, and lemon. The dessert is a smooth ice cream topped off with cinnamon. It’s light overall and the cinnamon adds a flavor to it. 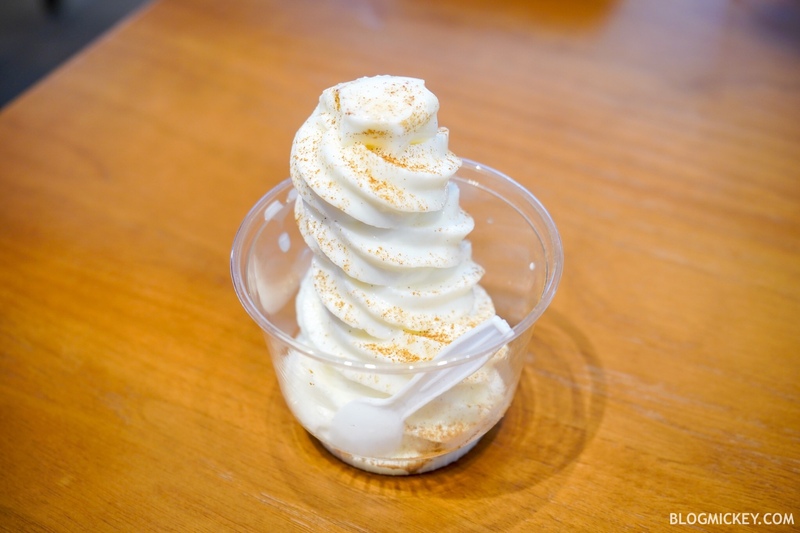 If you were to simplify its taste, it’s very similar to a Cinnamon Toast Crunch, but in ice cream form. Finally, we arrive at the sangria. 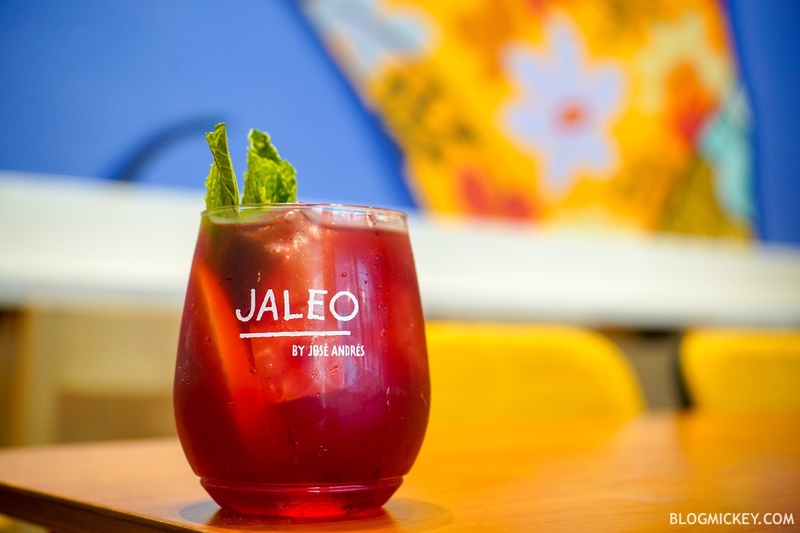 There are a few items on the drinks menu here, but when the press release came out, ThinkFoodGroup touted the fact that their sangria would be served with frozen sangria cubes instead of ice cubes. Unfortunately, the sangria cubes haven’t been perfected yet, so what came out was a pretty standard sangria that definitely favored the wine flavors instead of fruity flavors. It’s served in a branded plastic vessel, which allows you to walk around Disney Springs without the worry of glass. There are two new menu items at Electric Umbrella and they sounded good enough to catch our eye for lunch today.